You may have thought it was won on Golgotha. It wasn’t. You may have thought the sign of victory is the empty tomb. It isn’t. The final battle was won in Gethsemane. And the sign of conquest is Jesus at peace in the Olive trees. For it was in Gethsemane that he made his decision. HE’D RATHER GO TO HELL FOR YOU, THAN GO TO HEAVEN WITHOUT YOU. Those same hands that created the universe will wipe your cheek. The same hands that clenched as a Roman spike smashed through them, will wipe your face, and brush away your tears – FOREVER. And, again, so much more…. Lydie, Elisa, and Gerard also saw many, many instant healings, and once home, Gerard mentioned that his use of words of knowledge has increased…. Cali seems to have that effect on people, heightening a gifting occasionally used ‘back home’ that accelerates here. It’s a wonderful blessing. In the last blog, I shared that it was a real privilege to involve, and then cut loose, people into a healing ministry. 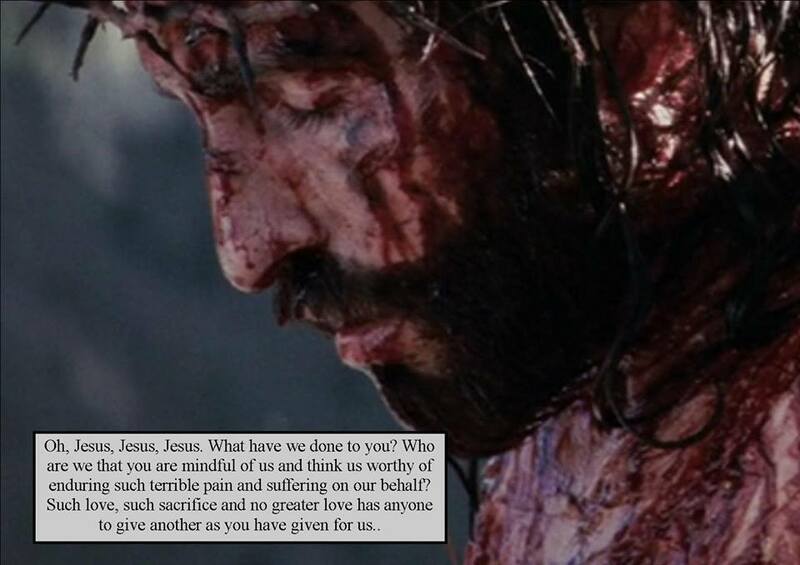 What better day to see that happen than Good Friday? Today, we were back in the same church as yesterday morning (and afternoon! 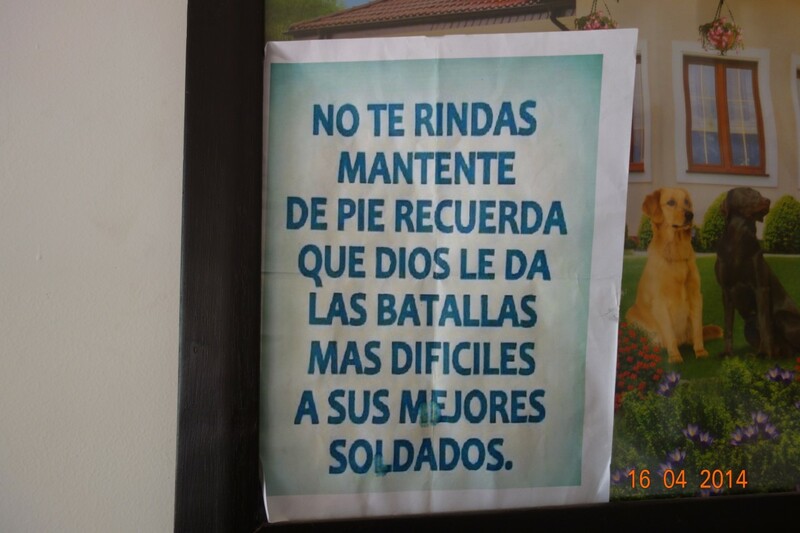 ), Paz-Sion Mundial. 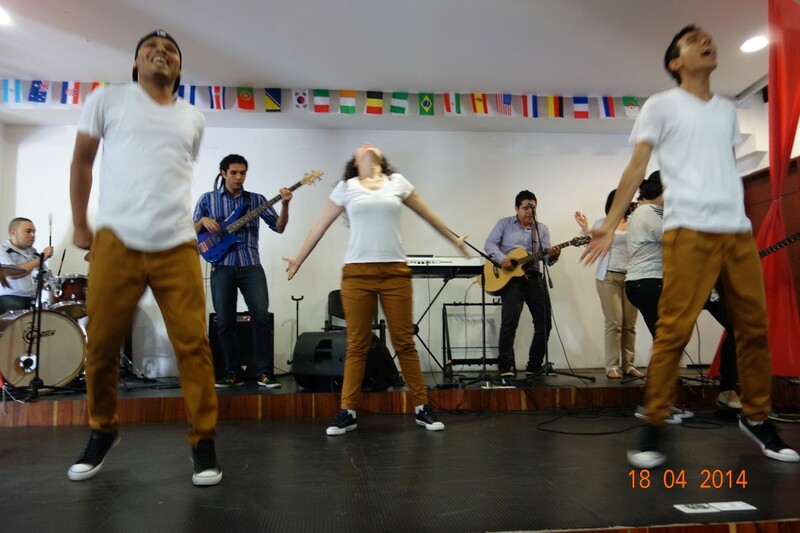 Again the praise and worship was wonderful, a terrific band, and a great troupe of dancers. The atmosphere was heavy with the Presence of God, and when Gerard got up to speak, the music had laid a lovely foundation to preach from. ooling! There were still more people in the office who wanted us to pray for them, and that was a very special, precious time, too. The pastor and his wife, Alexander and Derly, are such a lovely couple, with huge hearts and great compassion. So a ‘blockbuster’ of a meeting, for all of us dwindling team members! We miss the three who have gone home…..and, in 40 minutes, we’re being picked up to go to another meeting, another church in the same barrio as last night, Simon Bolivar, not one I’ve been to as far as I can recall. A reason for my existence…! 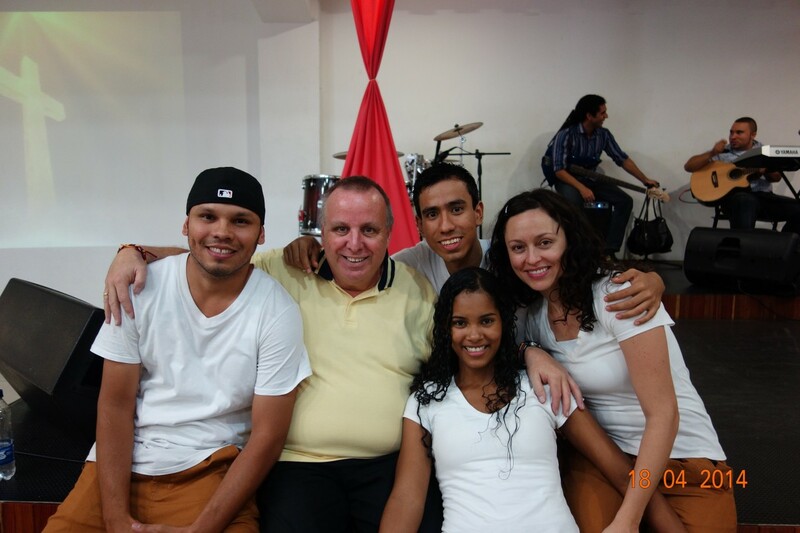 Tonight, we were at one of my favourite churches here – Nacer de Nuevo (New Birth), in one the most dangerous districts of the city, Simon Bolivar.The pastors, Hernan and Helchie Gonzalez, have become lovely friends over the 3 years or so that I’ve known them. It’s a tough, tough area, and very poor, but they are making incredible inroads into their troubled community, and, from a (almost literal) handful of people 3 years ago, they have a church of a good 100+. We all went, as we couldn’t get hold of another translator for a meeting that the French folk were going to. The worship was lovely, the atmosphere wonderful. 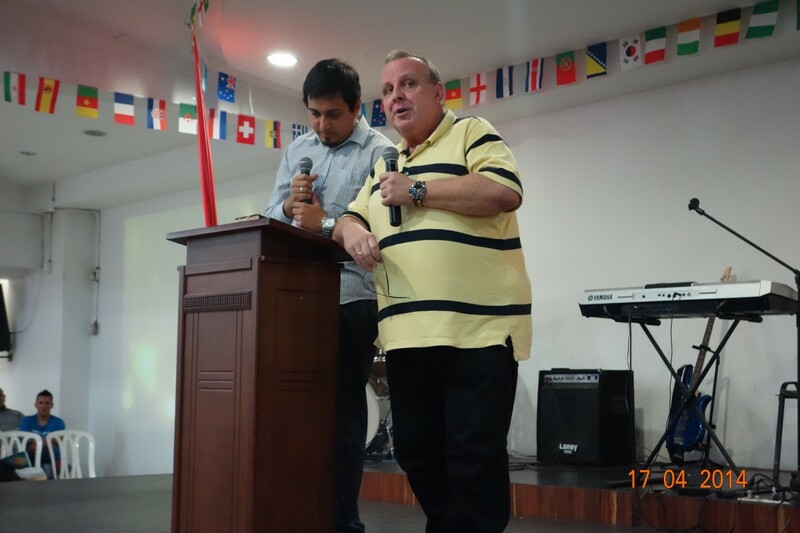 Chris spoke really well, and there were a few there who could speak enough English to have 3 or 4 mini-teams for the ministry time, which was overwhelming. There were many healings and miracles: from each little prayer team. I can only really relate some that happened with me, as I don’t know all the details from the other guys. 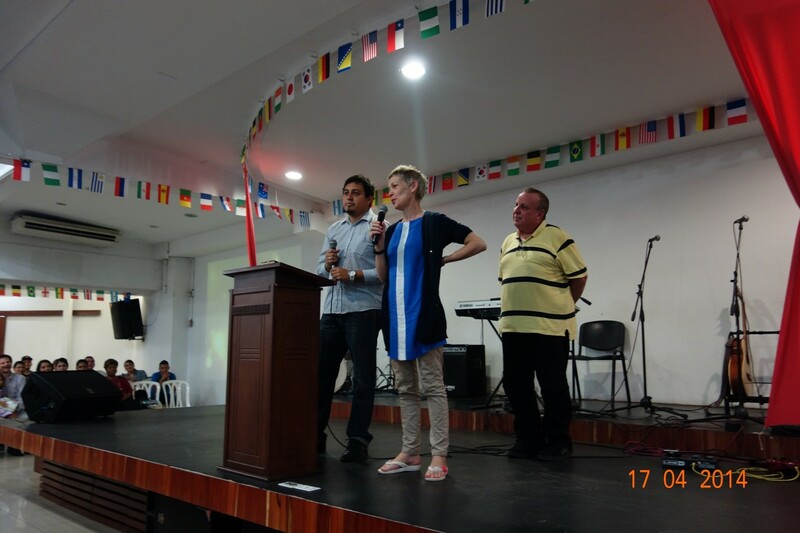 Daniella, after God gave her arches in her feet for the first time in her life…. severely flat feet: as I asked her, then, to take her shoes off, we watched as, without prayer, arches formed in both feet. The picture I posted of her then was this one….erupting in tears. She also had terrible eye problems, with thick-lensed glasses, and virtually no (and deteriorating) distance sight at all. 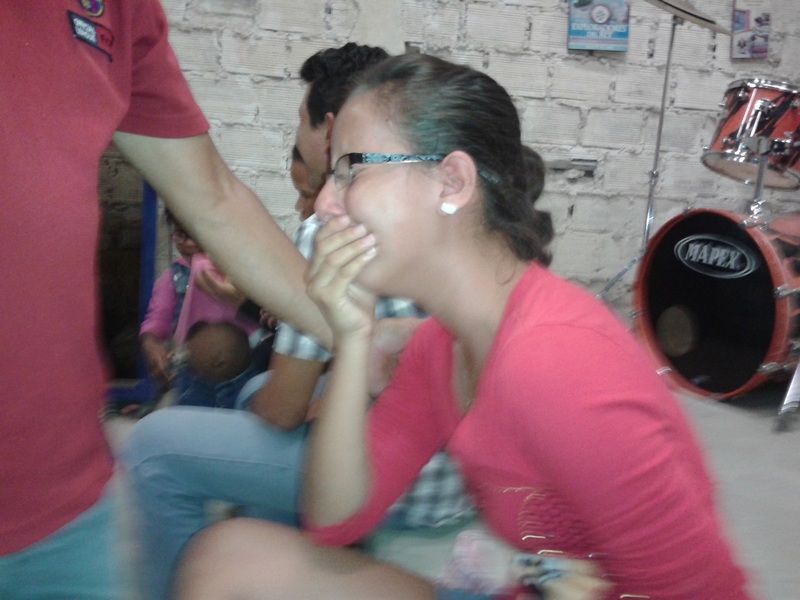 God healed her eyes instantly…. She was there, tonight: no glasses, arches in place, and no asthma attack for 6 months. I asked her to come and pray for people with me: she looked a bit shocked, but she did, and this is where the ‘header’ of this blog comes in! I simply LOVE seeing other people do stuff they’ve never done, probably thought they could never do, and then doing it. She prayed, quite confidently, commanding God to heal people in Jesus’Name – including her mum, who also had terrible eyesight. Mum was healed instantly, Daniella even removing her glasses to pray with her hands on and over her mum’s eyes. 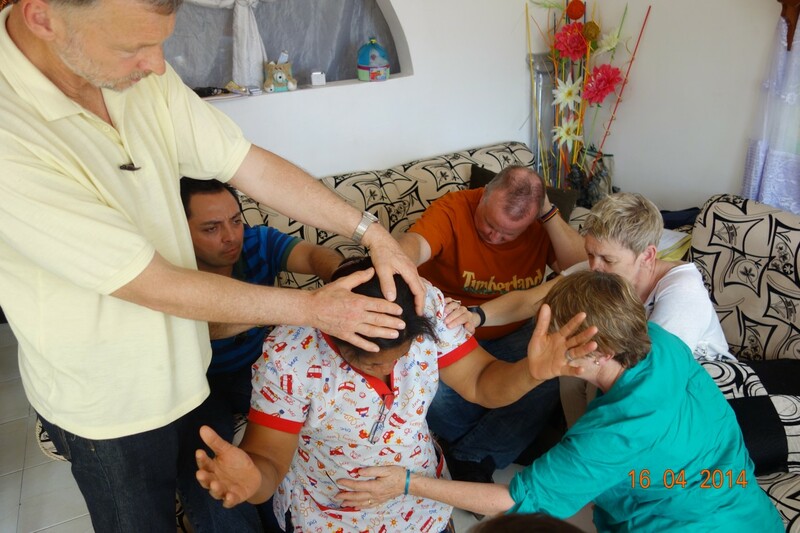 The a little girl, maybe 3 years old, autistic, bad eyesight, and chronically flat feet – Andreea – was brought for prayer by her aunt. 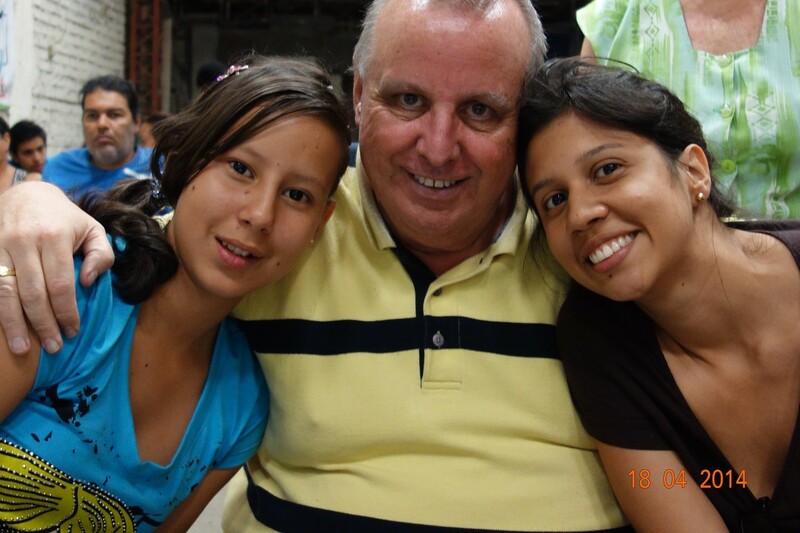 I just nodded at Andreea’s feet to Daniella, and a lovely young lady, Laura, who was helping me out with my Spanish, and Daniella, took her shoes and socks off….Daniella prayed, then burst into tears again as God did for the little girl what he’d done for her 6 months earlier…. absolutely wonderful! Thank you God!!! 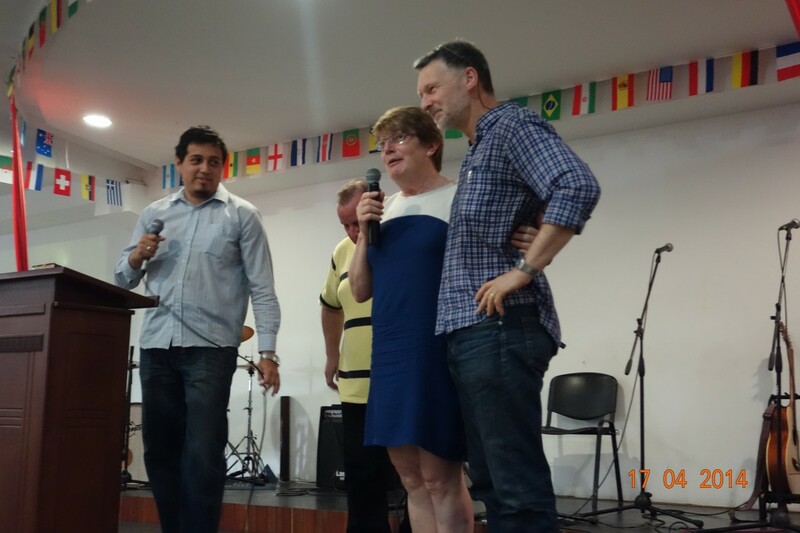 Virtually everyone who came for prayer was healed: a young lady with a tumour on her top gum inside her lip – all pain went, and the tumour will be gone tomorrow. 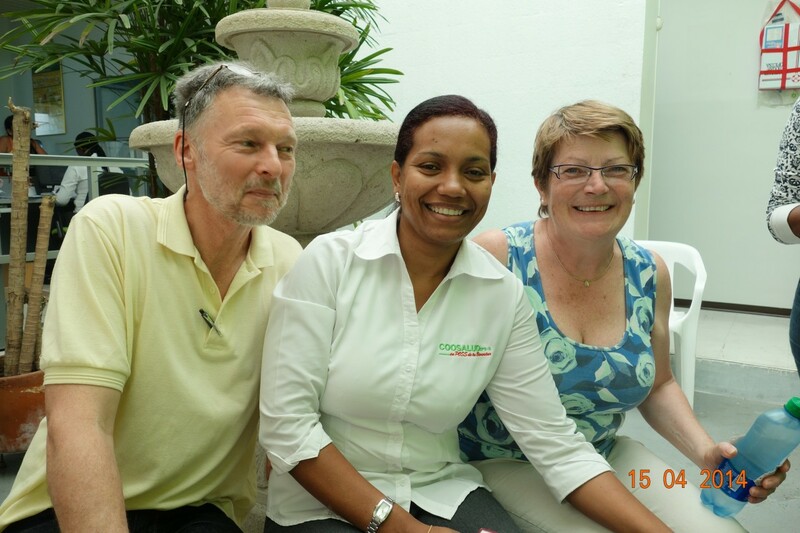 A lady with severe neck and back pain went away pain-free. 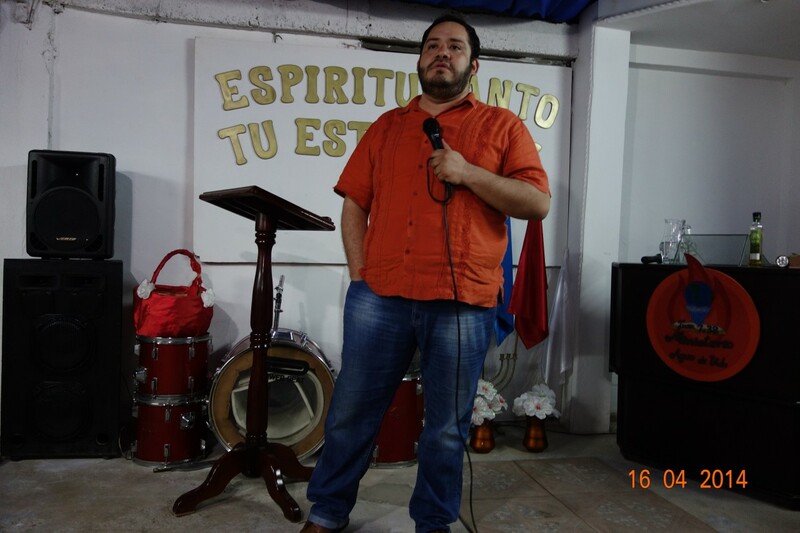 A man with sacro ileac problems was healed, and pain free. A lovely older man with cancer in his stomach and liver, and a great deal of discomfort and pain, went away pain and discomfort free…. I could go on and on…. so many stories repeat from church to church, meeting to meeting. But I live with a passion to see other people do what Jesus did, and if I can help them, even a little, on their way, then the last 30 years – and the next 30+? – will be well worthwhile…. Last night (Wednesday here!) 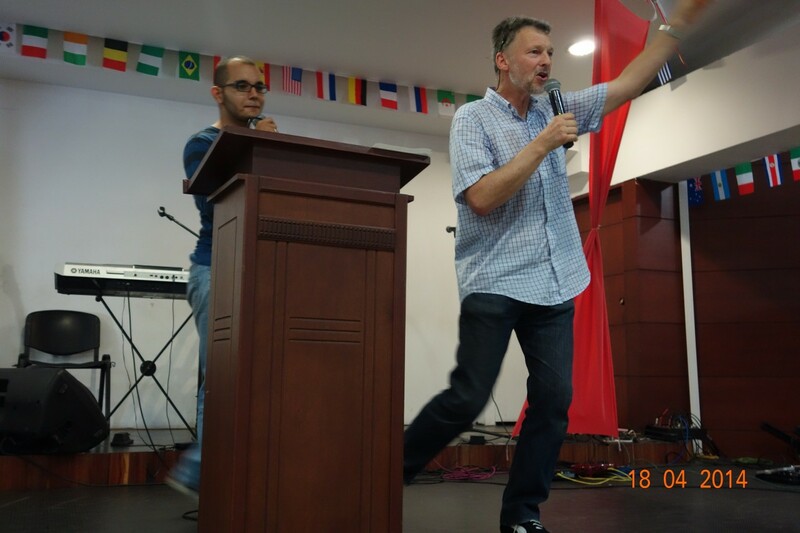 was the last night for Beny and Danny, so Danny went to preach in a church called ‘Catedral de Vida’, Beny and I went to ‘Dios con Nosotros’ (God with us)in the very south of the city, and Chris went to ‘Nueva Vision’ (New Vision), also in the south. Chris went on his own, which can be a big ‘burden’ when the ministry time comes around, and, as expected, he was very late home, well after midnight. He had a great time, praying for just about everybody, and, true to Chris’s ‘form’, prophesying over most. Danny had Elisa and Lydie with him, and obviously felt that much of the ministry was better from the platform, so Elisa and Lydia had an unexpected evening off! 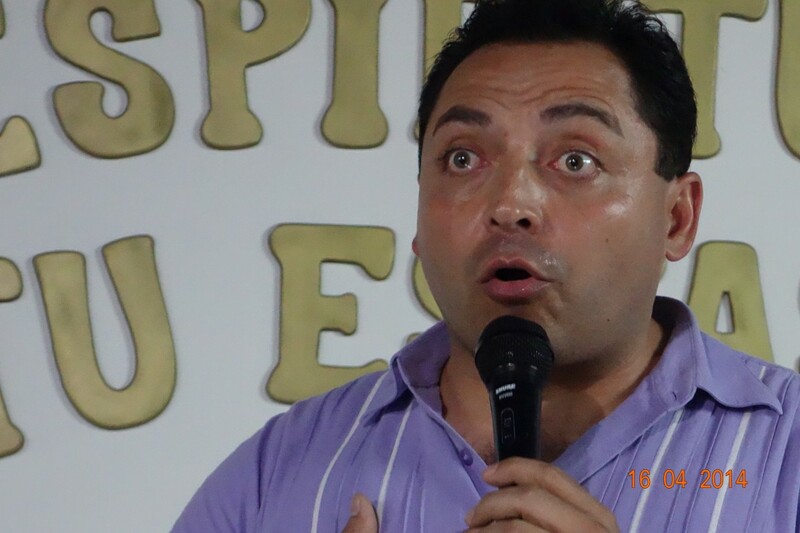 Beny spoke well at God with Us, but we were ‘time limited’ being picked up by a minibus that must have been on hourly rates, so I asked people just to put their hands where their pain, sickness, or problem was (if it was appropriate!! ), and prayed from the front…. three ladies came up to testify to being healed: for me, and most of my little team, nothing beats praying individually with people, have made a ‘connection’, or built some sort of bridge that gives you the freedom top pray for people. Relational prayer is unbeatable for me. The highlight for me, last night though, was seeing Dario’s mum, Lileana – many of you will have read about him last November – at the meeting> I’ve not been able to get in touch with him as he’s changed his phone number, and someone gave Lileana the wrong number for me 🙁 – he’s been trying to call, but obviously no response… hopefully I’ll get to see him in the last few days here. This morning, Maundy Thursday back home, but still ‘just’ part of Semana Santa – Holy Week – here, saw Beny and Dany leave for the airport at 3.30 am (joy oh joy! – but we were all up to see them off, and it was strange without them. I only ever seem to have pictures of me speaking wearing this same shirt! 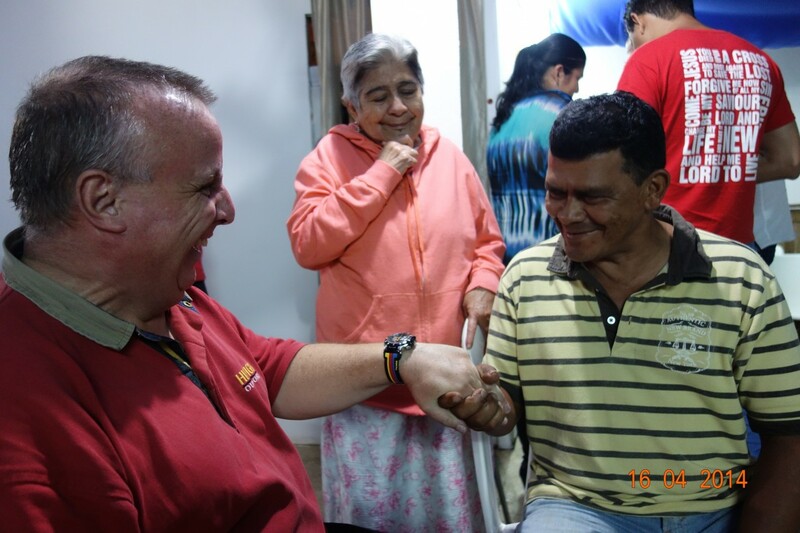 least 40 – it’s really hard to remember individual healings, so I’m not even going to try, but a lot of pain went, one lady healed of chronic osteoarthritic knees, and all of us shared stories of many physical and emotional issues being healed. 4-5 hours of ministry is pretty exhausting, especially in temperatures like we’re having here (30+C most of the time – even now at 11.30 pm it is still 25C! So our ‘break’ between meetings was narrowed down to just a couple of hours, before a meeting this evening. Chris leaves tomorrow, to go back home to Abi and the family: like Beny and Danny, he’ll be greatly missed for the last few days of what – so far – has been an astonishing trip. 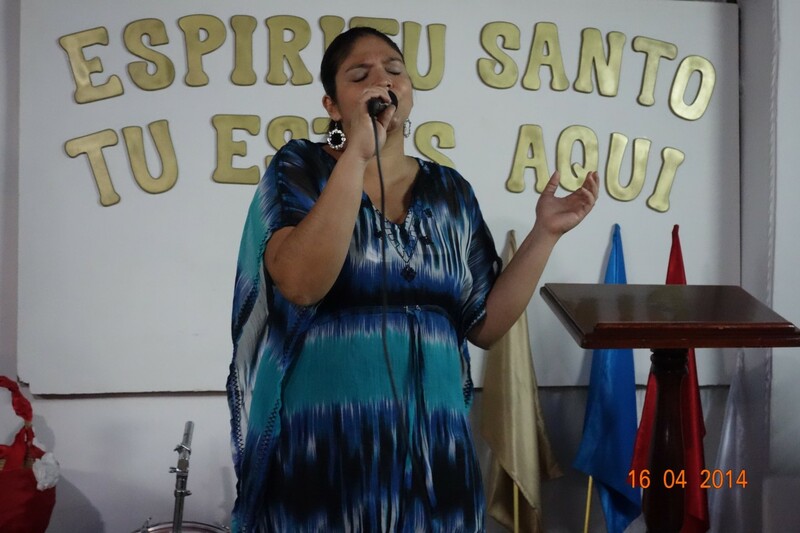 Ana Beiba’s message about her miraculous, instant healing! 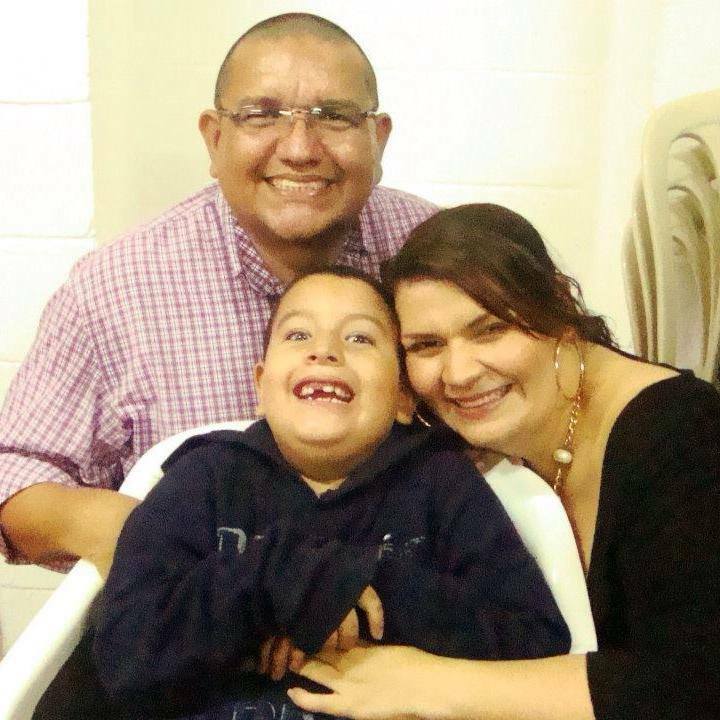 Last night I wrote that Ana Beiba had been hit with cancer again, and that we had a wonderful hour or more praying with her for her healing. Late last night, she sent a text message to Wilmar, and two more this morning. Again, Google translate has done its best(! ), and Ana’s texts may well have been type and mis-spelt in her excitement…so I’ve just rearranged the order of some of the words! I feel more strong than the buffalo! pastors I feel as healthy as an ox. Wonderful news…..thank you Jesus for healing Ana again. For me, it makes her ministry even more special, that God would save her life twice in less than three years…. When I first met Ana Beiba, she had one house, a none-too-large terraced house, in which she looked after about 55 old people, whose lives otherwise would have been living under bridges, fly-overs, anywhere where there was a little shelter. Ana went to hospitals to ‘rescue’ old folk who were no longer able to pay their medical bills, scour the streets for others (not too difficult to find them in this city), and take in elderly people whose families either couldn’t afford to keep them anymore, or simply didn’t want them. She washed laundry by hand for all her ‘babies’ as she calls them, cooked on one propane gas ring, and ha no fridge, freezer, washing machine…and all her folk smelt ‘freshly laundered’ with no ‘old people’s home’ smell anywhere in the house. That first visit was emotional, to say the least. Even more so, because it was crystal clear that she loved those people utterly. Even MORE so, because then, in 2011, she herself was under a death sentence: 2 months to live, with a massive brain tumour. 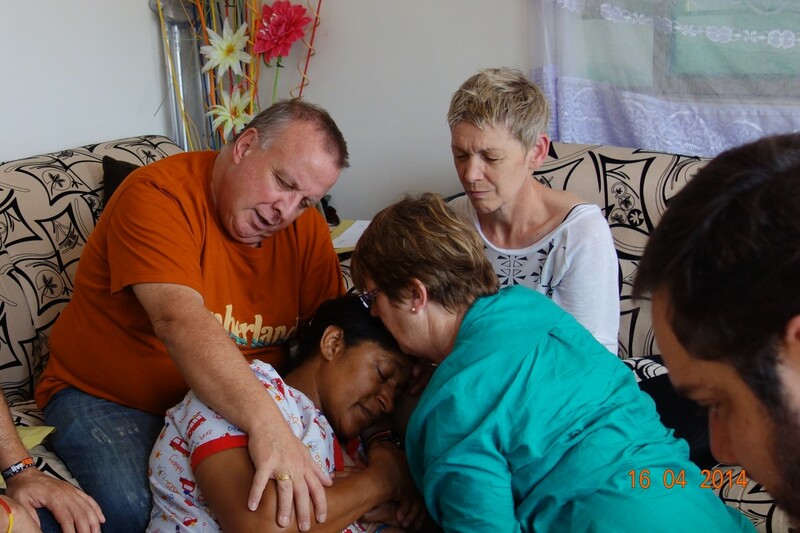 Ana, falling to her knees and clutching my thighs, weeping, as I asked if we could pray for her, was even more emotional. That day, she felt the tumour leave her head, and she was healed. The story since then is known to many of you reading this. She now has two houses and some commercial-sized appliances,thanks to the kindness of people back home in the United Kingdom. And 92 elderly people now constitute her family. The second house is structurally sound to have two more floors above the single-storey house, and that would ‘up’ her capacity to 200. 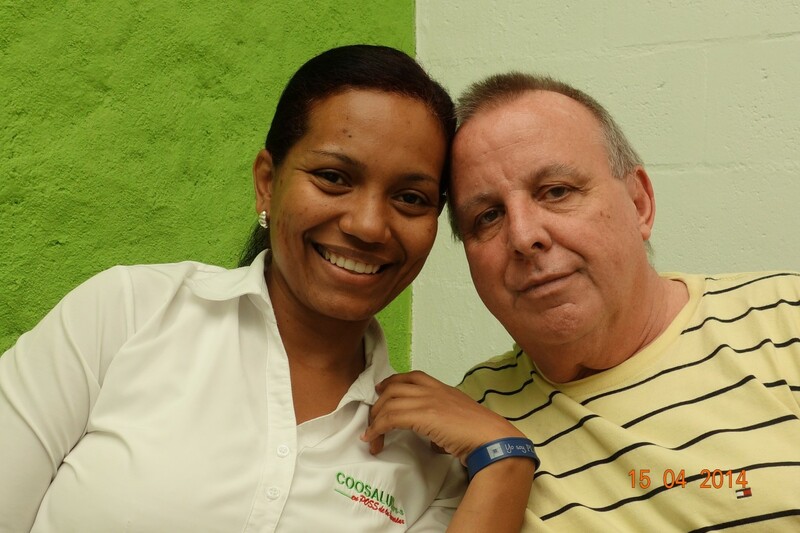 For her, it’s an absolute impossibility, as has everything that kind people have helped her with. The two floors she’s already had an architect design: and she has budgeted the whole project, even though she knows she can’t do it, but trusts God to help. The two floors will cost 70,000,000 Colombian pesos: sounds horrendous, huh? But it’s around £25,000 / US$39,000 /AU$42,000…..to get another 100+ literally endangered old folk off the streets. We went to see her again today – she’d been out when we called last week. The welcome, the hugs strong enough to break your neck, nose, and suffocate you, are indelibly burned into my mind and heart. Today, the emotion was ratcheted up a few more levels…. Something wasn’t right. Her voice was weaker than usual, and I asked her if she’d got a recurrence of the cancer again: a friend had a dream in which she saw Ana with cancer. Giving cancer the big boot…. Ana is one of the most remarkable, amazing people I’ve ever met, and I’ve met quite a few amazing people. A new arrival came this morning, and then, while we were there, the city authorities arrived with another lady, Rosita, for Ana to care for. She’s fast running out of space. Tonight, a 30 minute drive on good roads, then about 20 minutes on unbelievably awful roads (though to get to Melendez use to be up a hill that was like Lynton, in Devon (England, for the geographically challenged!) – maybe 1 in 2 in the measurements that I remember: a hill where you could have your foot flat on the floor with the accelerator, in first gear, and still go backwards…! But beating the roads is so worthwhile: a lovely church that meets in the garage of the home of pastors, Jesus and Angela. I’ve been there a few times now, but this evening knocked all the others into a cocked hat as God was there in wonderful presence from the moment Angela started the worship time. Danny, with very expressive eyes, making his point preaching tonight! Then the ministry time…. probably about 20 people there, plus my contingent (11 others! ), and most wanted prayer for physical or emotional healing. I had the delight of praying for the pastor’s mum, Alejandrina, 76 yers old, with bad back pain, bronchitis, failing eyesight, and dreadful blood circulation in the lower half of her body. Sight improved – good start. Back pain went…. bronchitis – well, she’ll only know when she doesn’t get it again! And legs… total transformation fom ‘deadweight’ and pain when she arrived, to feeling as light as a feather and pain free…. God’s so wonderfully gracious, eh? And of course, Jesus never left anyone half, or even three-quarters healed, so I don’t think the bronchitis stands a chance…. And then came Wilson. Very difficult to hear, as he’d got a quiet and strained voice, two of many issues caused by being stabbed in his head just over his left ear, 15 years ago, a deep wound that cut into his brain. He’d pretty much lost the use of his right arm, and his hand had no strength or grip whatsoever. I prayed for the trauma, shock, horror of the event those 15 years back, and then for his arm and hand. A few moments later, he was gripping my fingers tight, then tighter and tighter still, then Beny’s… his arm regained its movement, and his voice got stronger as his amazement unfolded…. Sensational…. it meant, of course, that it wasn’t just muscles in his arm and hand that ha been healed, but his brain, too…. The other guys all saw God move in the folk they prayed for, a lot of it emotional, with tears of troubles turning to tears of joy…. a wonderful evening… and then the ride back down the mountain mud track after a whole evening of rain…. home safe and sound though! And Ana Beiba’s in the morning….! And then the Social Security hospital again…. and three meetings in the evening. A knackering day, methinks, but so much in anticipation of what God’s going to do! Today, so far, has been a really lovely day – truth is, they all are here – and this morning, we all went to a Social Security hospital, the one we have been to earlier in the trip. 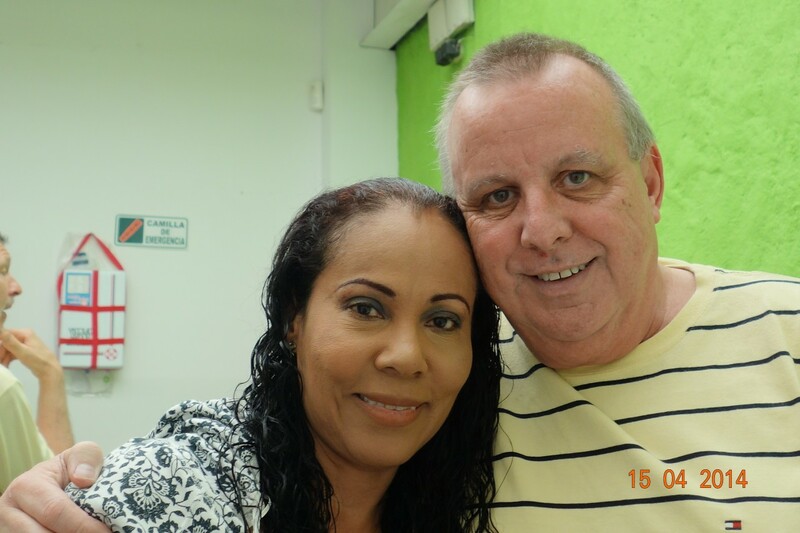 The Director, Maria Helena, is a delight, a lovely Christian, and so thrilled that we want to go into her hospital and pray for people. wanted to find ‘the’ man of her dreams, and that is exactly what God did for her in the past week! Perhaps I should start a page on the blog for ‘match-making’ or dating! A few of the other staff asked us to pray for them, and we had a precious time praying for each of them. The first patient I prayed for, with Beny, was a lovely young lady, Lina: Lina has a 6 week old baby girl, Valerie, who was born 6 weeks early. Her pregnancy had been traumatic, and she was declare ‘high risk’ for her life, and the baby’s. Many times, doctor’s told her that termination was the only option, but bless her, she fought that and refused. Latterly, the baby got an infection when still in her womb, which Lina got, too. It has left her in extreme pain in her stomach and womb, and the ‘bump’ won’t go down, the docs think it could be a hernia. It was lovely praying with her, seeing the fear, trauma, anxiety, and pain, leave her… her stomach pain, when she arrived, was intense: when she left, it had gone…. what’s more, it appeared that the bump had gone down somewhat, too…..
An older lady, with a shopping list of illnesses, pain, and some serious infirmity, Margot, needed much more than the 10 minutes or so we could give her: she had intense pain in her whole body, epilepsy, and severe anxiety. You could see in her face all of those things: then peace, if nothing more, from the anxiety, just washed over her. 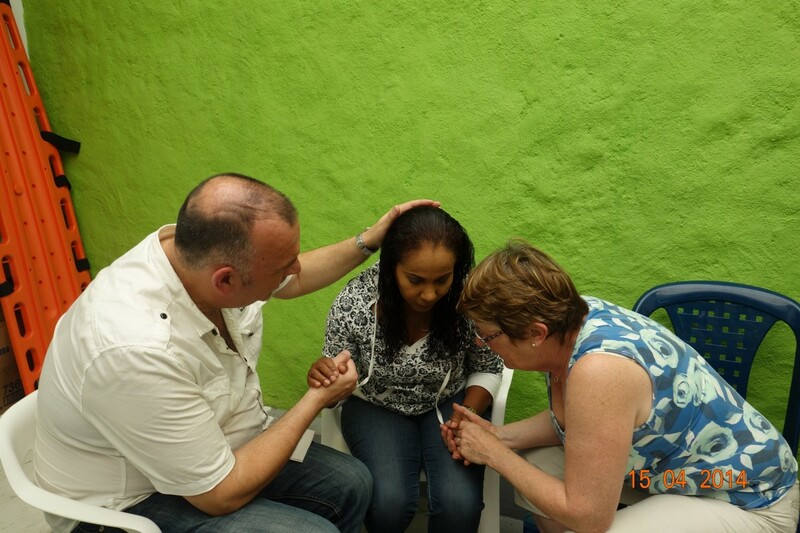 Praying with Maria Helena…wonder if this would be allowed in UK hospitals… ??!! Director (CEO) of a number of hospitals. Her business card has on it: ‘It’s my mission to serve’, and quotes Jeremiah 33:6. The atmosphere in her hospital – the one we’ve been into – bears witness to both: she’s a really lovely lady, with a massive passion for the poor. We prayed with her for quite some time, including prophetic prayers, and she was in tears – of joy, that God had ‘sent’ us there. We’re there again, tomorrow afternoon. Lunch, then the ‘customary’ visit to ‘La Caleñita’, without doubt the best Colombian craft and gift shop in the city, for everyone to get their gifts to take home… I ought to be on ‘commission’ from that shop by now, goodness only knows how many people I’ve taken there! This evening, high up into the mountains again, to a lovely church Pastored by Arsenio and Angela: it was a great time there in November, and my prayer is for an even greater time tonight….